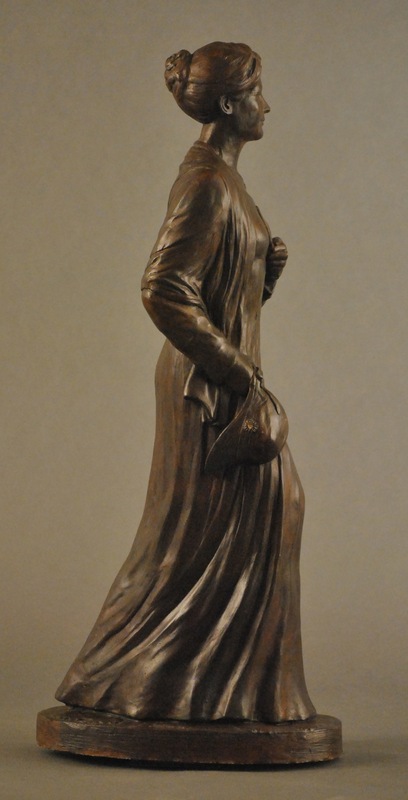 In this sculpture, commissioned by an avid Jane Austen fan, I portray her walking, her bonnet and a daisy in one hand; the other holding a letter from her sister close to her heart. English oak leaves lie at her feet. All of these props and her walking are symbolic references to her life and hopefully convey a dignity and wisdom worthy of her works. 23 x 6 x 9.5 inches.